We adapt the basic principles of the Keynes Plan and argue for the creation of a supranational bank money (SBM) that would coexist along side national currencies and for the establishment of a new international clearing union (NICU). These principles remain timely because the fundamental causes of the instability of the international monetary system are as valid today as they were in the early forties. The new supranational money would be created against domestic earning assets of the Fed and the ECB and its quantity would be demand-driven. Our proposal is not an agreement on exchange rates, which while possible is not essential to the functioning of the SBM. NICU would not hold open positions in assets denominated in national currency and consequently would not bear exchange rate risk. NICU would be more than an office recording credit and debit entries of the supranational bank money. The financial tsunami that hit the world economy in 2007–2008 provides a unique opportunity for a coordinated strategy. We thank Filippo Cesarano, Otmar Issing, Harold James, Ivo Maes, Juan Carlos Martinez Oliva, Patrick Minford, Alberto Niccoli, Luca Papi, Franco Spinelli, George Tavlas, Michael Ulan, Alberto Zazzaro, and two anonymous referees for comments and suggestions. In addition, we benefited from discussion at the EABH Workshop on International Monetary Cooperation Across the Atlantic, Bank of Italy, Rome, November 30, 2007 and at the European Central Bank on October 6, 2008. 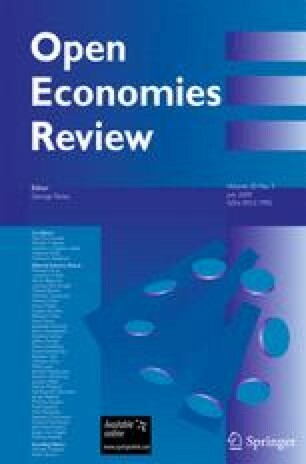 Hausmann R, Sturzenegger F (2005) Global imbalances or bad accounting? The missing dark matter in the wealth of nations, December, Available at http://200.32.24.4.58/~sturzen/FinalDiciembre28.pdf. Roubini N, Setser B (2005) Will the Bretton Woods 2 regime unravel soon? The risk of a hard landing in 2005-2006, Available at http://pages.stern.nyu.edu/~nroubini/papers/BW2-Unraveling-Roubini-Setser.pdf.